The closure of Super Ruby’s Western Force has sparked a lot of interest into the expansion of NRL. Chief executive for the NRL, Todd Greenberg has made a point to strike while metaphorical iron is hot, signalling out Perth as a likely candidate. While the claim has been made, Todd has assured the public that this would definitely not be slapdash team that was horridly put together. Ever since the collapse of the Western Reds in 1997, Perth has been seen as the ideal destination for the NRL’s next expansion team. While that may be the case, the current 16-team format is not expected to undergo any expansion until at least 2022 with the negotiation of the next television rights deal. As its stands, a second New Zealand side, additional Queensland teams and maybe even some Pacific franchises are all likely candidates. According to Greenberg, the game would not be making any major moves into the state mainly because of the lack of rugby code as of next season. Speaking to the press, Greenberg said that the closing of the Force won’t automatically quality Perth for a new NRL team. What the aim is here is to look at Perth from a strategic standpoint as a place to host games. Greenberg went on to say that as of next year, they are going to look very closely at what they can do to build new opportunities in the city. They are also planning on continuing their junior development program at a grass roots level. While it would be great to get ruby back into the city, it is not just a matter of picking up a team and moving them into Perth, the logistics are more complicated with a significant amount of investment and work needed. In recent years, just two games per season have been played in the city. This is a number that can be increased in the years to come. Last year, Australia hosted New Zealand in a test match at the famous nib Stadium. This year, a world Cup rugby league double-header will be played in November before the new stadium hosts the 2019 State of Origin game. Rugby is big in Western Australia, this is evident if we look at the numbers. There are currently 3600 registered rugby league players in the state alone. Last year, a total of five of the West Coast SG Ball Junior’s made their debut in the NRL’s under-20’s competition. 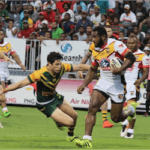 But the state has also lost some promising players including Force players, Chance Peni and Curtis Rona to the 15-man game, which is seen as an easier path to the upper echelons of professional sports. 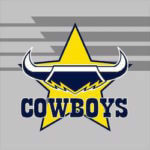 Cowboys’ Last NRL Hurdle is Grand Final North Queensland Cowboys’ fans must be thanking their lucky stars and polishing their horseshoes. After starting the 2017 NRL season strong, a series …. NRL Matches This Week Let’s look at the NRL games scheduled for the first weekend of September so that punters can get a clear idea of who to back when …. Round Up of the Weekly NRL Games Take a look at a round up of this week’s NRL action and see what’s in store for Rugby fans. Canterbury Bulldogs v …. Weekly NRL Games RoundUp This weekend’s National Rugby League action sees round 21 kicking off the weekend. Check out the upcoming games and the place your bets online at Crownbet, …. Season In Question For Injured Johnson Halfback Shaun Johnson received a horrendous knee injury on Friday night that has cast serious doubt on his ability to complete the NRL season. ….